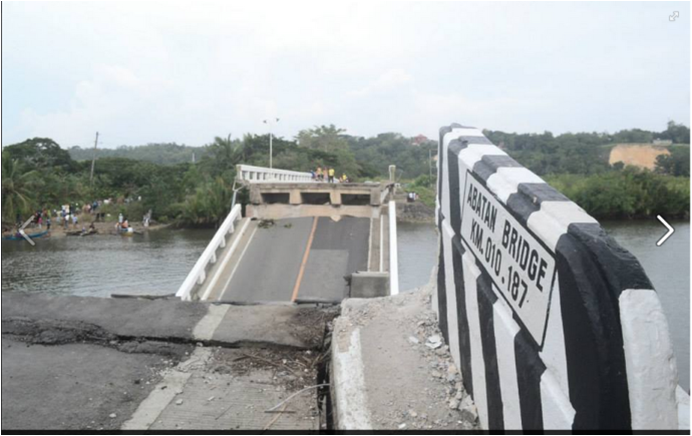 Image courtesy of Bangon Bohol. I was not in Bohol when the 7.2 earthquake hit the island in the morning of 15 October 2013. Like most working weeks, and like several Boholanos unable to find job within the province, I was at the RCBC building along Ayala Avenue, preparing for a meeting with my contract manager at AusAID. Like the Boholanos back home, that morning was the same as all other mornings – people woke up, took breakfast, did some household chores, read the papers, tended to farm animals, took a bath, went to church, reported for work. Then the ground shook. That brief moment, that fearsome few seconds that has devastated centuries-old churches, destroyed many homes, traumatized children, damaged livelihood and business investments, and made useless several public infrastructure, can only be described by those who were there. While I was able to go home and experience the aftershocks days later, my own feeling of insecurity and fear is nothing compared to those who were there that very moment, those who ran for their lives, and those who watched as the world around them started to crumble. Minutes and hours later, radio and TV were replete with reportage on the effects of the earthquake. The quake did not only jolt Bohol but also the neighbouring island province of Cebu. I watched as how reporters filmed destroyed churches, buildings, structures and interviewed local people. Reports on isolated towns, number of deaths, and appeal for help came next. The face and form of the tragedy is everywhere, the sense of desperation apparent in people’s faces. Social media was flooded with status updates and tweets on the tragedy. I was dumbfounded. I was in a state of denial. As I was far from home, I convinced myself that my family are okay, that the Boholanos are fine, that this event will just come to pass and people will recover. They say that a crisis or tragedy can reveal the best and the worst in us. I have seen many of my friends, despite fear of their safety and that of their family, rose to become bearers of hope. People put up websites, coordinated relief operations, monitored events and did information dissemination. Others, even those living in other countries held charity events to raise funds. Business groups joined in the relief operation, even airlines take in relief goods for free and courier companies accept money remittances to Bohol free of charge. Government and church groups, student associations, people and groups previously unaffiliated became bound by the same cause, to help Bohol and the Boholanos rise from the devastation. The Boholano ceased to be a victim and quickly became a survivor for others. Heart-warming stories of everyday heroism flooded news and social media – athletes ferrying people across a wide river, netizens posting information of those not yet reached by relief goods, companies distributing water and tents, professionals offering post-trauma counselling and therapy. Even victims, still needing help, refused relief goods so that others who had not received theirs can also benefit. They even managed to post thank you signs for the help they received. While negative stories also circulated around – like how relief goods distribution became politicized or how victims hoarded goods, and people disagreed about how to best move forward, these never eclipsed the stories of how the Boholano started to hope and become a source of hope for others. Two weeks had passed and in between aftershocks, planning sessions among those still willing to help were held. One group is coordinating a medical mission. Another group plans a post-earthquake happy day for kids. A classmate in college was talking about buying hollow-blocks making machines and extending credit to start-ups so the latter can have alternative livelihood after the quake and become sources of cheaper materials for construction. Inspection visits to churches were done so that restoration can be planned and started soon. The province was abuzz with efforts to build again what was lost; a new dawn is in the horizon. Sadly, I failed to be part of all these. My guilt of not sharing that dreadful moment with my wife and kids and not being able to fly right after because of a workshop I was tasked to facilitate (that cannot be put off as hotels and flight tickets have already been booked), grounded me to home. To my wife and kids, this was my best apology – and my presence was needed by my family whose house has just been damaged, and badly in need of a temporary shelter. I also cannot leave my son who turns pale every aftershock, as he was taking a bath when the earthquake shook the house, making him scamper for safety outside, naked and wet. While my family’s experience is of no measure to the hundreds of others who lost a house or kin, I just thought that my place at that time, though how selfish it would sound, was to be with the people who relied on me for strength. So this piece is dedicated heartily, to the many souls I know from near or far – Gibo, Doris, Fr. Harold, Hedz, Nep, Liza, Reg, Fr. Roland, Nino, Fr. Warly, Maricel, Patpat, Cynthia, Charlie, Andy, Engr. Willy, Cheryl, Lut, Mitzi, Mae Anne, Sis. 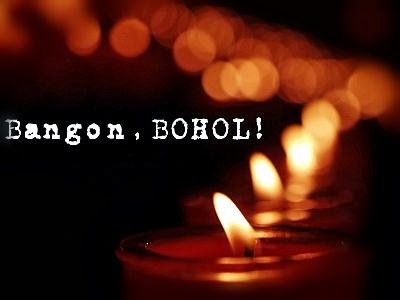 Joy, Edik, Julie Ann, Kit, Linda, Tia Flong, John, Sir Nes, Franco, Bagi, Melissa, Mae, and many more, who have risen above the tragedy to become sources of comfort in this time of need. Your example shines; you remind us that in a situation of insecurity, we can offer others a sense of safety; that while hungry, we can still feed a multitude; that while in a state of devastation, we can still offer a hand to rebuild. Bohol will rise. Because you, them, all of us, will work together to make Bohol well again. I love it Miko! I'm thinking of your wife and kids while we came back "on time" at home... Good luck and your family will always be on your priers. I am passionate about Bohol and its development. I care about building a better world. I believe that building people's capacity is a key to more equitable development.